To pay for the cost of higher education, some college students might pick up odd jobs. Tuition and fees cost an estimated $4,157 for a freshman or sophomore Colorado resident taking 12 credit hours. When a shared bedroom in a suite is added for housing expenses, this number jumps to $9,207, according to the Student Financial Services Bill Estimator. A junior or sophomore may pay anywhere from $4,500 to $7,000 for tuition alone. While picking up an odd job or way to make money on the side may not take care of the entirety of a student’s education expenses, extra cash can help with buying gas or groceries — other essentials that a student needs to survive. For some students, one way to make extra money is donating plasma. 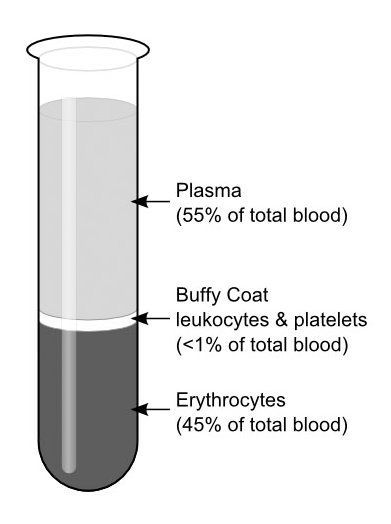 Plasma is the clear component of blood that moves material through the body, according to CSL Plasma. When extracted from the blood, the fluid is used to treat certain diseases. Sophomore psychology major Courtney Morgan has donated blood to earn extra money in the past. “The first time that I went, I was ineligible to donate because I had gotten a tattoo in the last year. When I was able to donate though, it went smoothly and was a fairly simple process,” Morgan said. Donating plasma is similar to donating blood; however, in a plasma donation, all red blood cells will be returned to the donor once the plasma is separated from the blood. This enables the donor to donate twice in a seven-day period. Comparably, in a blood donation, a student must wait eight weeks before donating again. It generally takes two hours to complete a plasma donation. While donating plasma can add more to a student’s wallet, it won’t take care of all of their expenses, according to Morgan. “In a pinch, if you need cash, it’s a viable option, but you’re not going to be able to survive on plasma donations,” she said. Some students may donate at Biolife Plasma Services, a plasma collection facility that serves people with rare diseases and specialized conditions. The most common recipients of plasma donation are patients with Hemophilia, immune deficiencies and burn victims, according to the Biolife website. For these patients, donated plasma can be potentially lifesaving. Unlike blood donations, donors receive compensation for plasma. At Biolife, donors receive a debit card, where the company loads the payment, according to Debra Meeks, a Biolife employee. Donors can make up to $280 a month. “On your first donation you will make $20, and if you make a second donation in the same week, an additional $50 will be loaded on to your account,” said Meeks. To be eligible for plasma donation, a student must be at least 18-years-old, in good health and weigh at least 110 pounds. This ensures the donor’s safety. Before donating, Biolife conducts a physical examination, which includes a basic vital check, weigh in, finger prick and questionnaire concerning a donor’s medical history. All of this acts as a second tier of eligibility. Biolife is located 6310 Source Center Point, Colorado Springs, CO 80923. Appointments can be set up over the phone or online at biolifeplasma.com/us/#/.